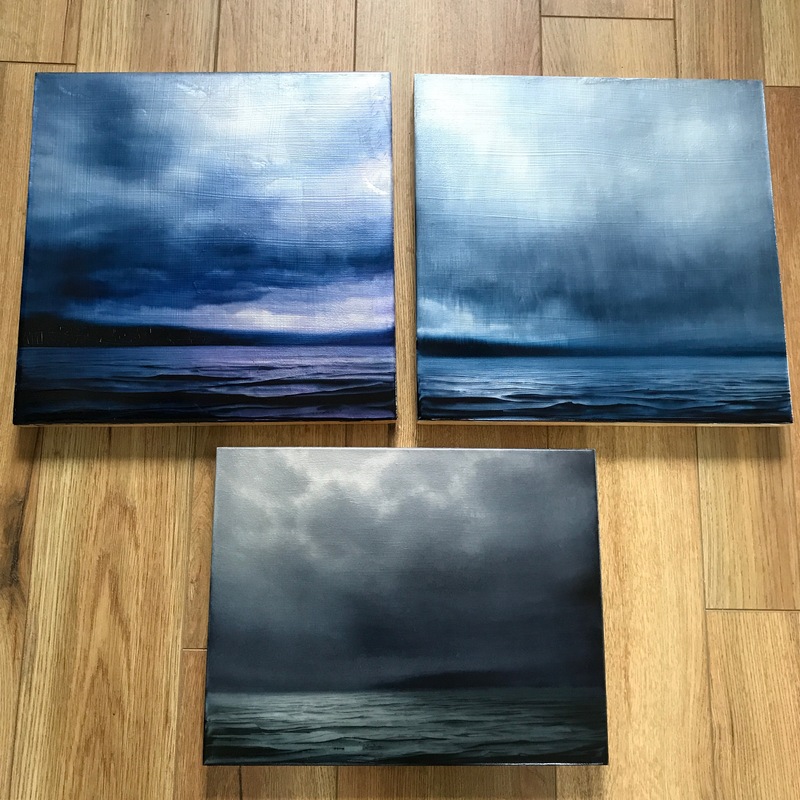 Three atmospheric landscapes I have recently completed. I am experimenting with some new materials and a different substrate than plexiglass. Exploring the behavior of new mediums can be both exciting and difficult but it feels like a bit of adventure and keeps my mind turning.